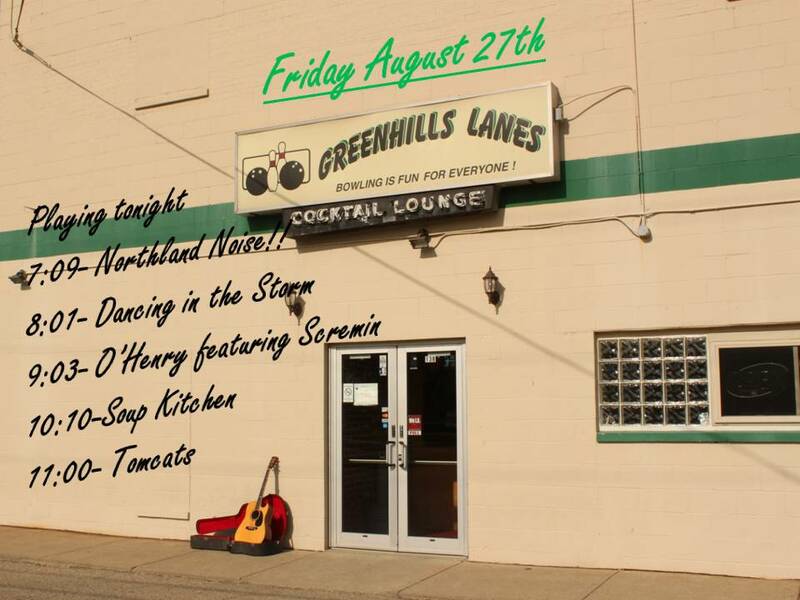 August Jam Session "The Heat is On"
Make your reservations today for the End of the Summer Jam at Greenhills Lanes.. The first 500 peeps will receive free air condition.. If we have an act cancel you guys are first up.. stay tuned..
We might be able to work something out here I will know more next week. If any other slots open, 3 of the 4 members of DLZ are playing again with me being on drums. Let us know. That is a classic! Lets get started at 7P..
What is the date. 8/21 or 8/27. Pictures has 27th but the heading says 21st. Good catch, its the 27th. Supa, Did you get my E-mail? Creeper is out of town that weekend. No I did not, thanks for posting. I had one more cancel and have two to add so I guess we are still full.. I will update this later this week..
We have had some changes in the line up due to vacations, etc.. No need to worry as we have bands that will be back filling the openings. I will make the changes as soon as I get the last 2 commitments.. It should be very exciting.. Looking forward to cranking it up next Friday! Spoke to the Dancing in the Storm band and they claim they have a have a bunch of folks coming up.. Could be a busy night at the Lanes.. I had a great time last night. Besides sippin on a few Long Islands I was surprised by my wife getting a sitter and being able to watch us play. I'm still all giddy over Supe Kitchens rendition of White Rabbit. How cool was that. Then to see some new blood rockin the house last night, this is what it's all about. I'm working on something for next months music on the lanes andhope it works out. What a great partner to Creeper it would be. Thanks SUPA and racer X for the use of the equipment !!! If it were not for Matt V this show could not go on. He provides the instruments that everyone jams on, in addition to that he provided part of the PA this time. A major thanks to MV for all he does!!!! BTW- His business was also voted Top Auto Shop in the Northern Hemisphere! That my friends is reaching the Top! Nice steady flow of new and old faces all night long, its been awhile since we have seen that. One more Jam at the Lanes on the 17th and that wil conclude the 2010 Lanes Tour..